“The Ride” from the album “This New Morning” (2012) made by Luka Bloom will inspire you to get on your bike. Biking the Grand Canal is one of my favorites. The cycle tracks along the canal guides you safely and easy from the urban life to the rural areas outside Dublin. I passed Lucan when I was biking another route and decided to make a round trip that included both the Grand Canal, the village Lucan and the Phoenix Park. 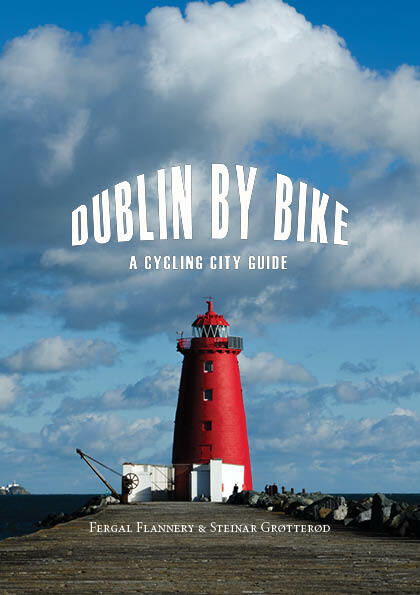 Dublin is one of the top bike-friendly cities in Europe with more than 120 km of cycle lanes. You can rent a bike and travel on your own or join an organized tour. The FAQ has a bucket of practical tips for your stay. Some websites are better than other when scheduling your bicycle ride in Dublin. You can buy the book at Amazone.com.